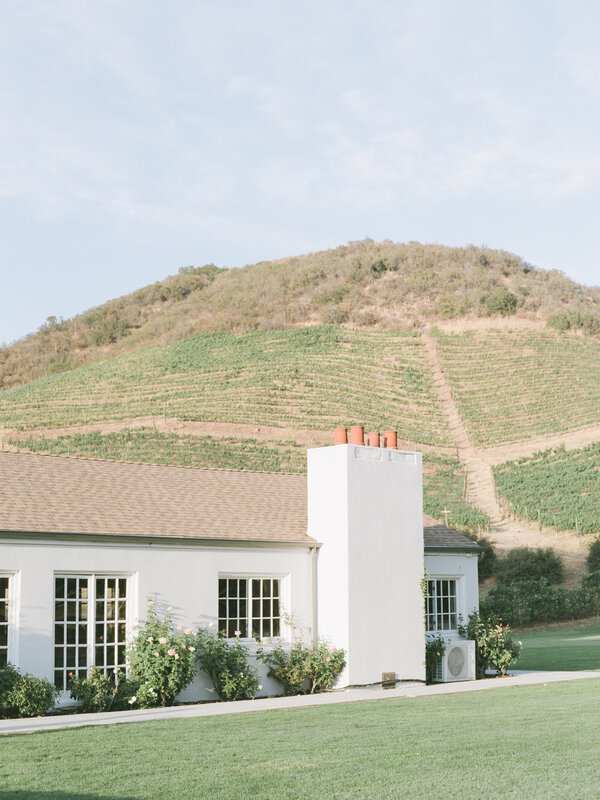 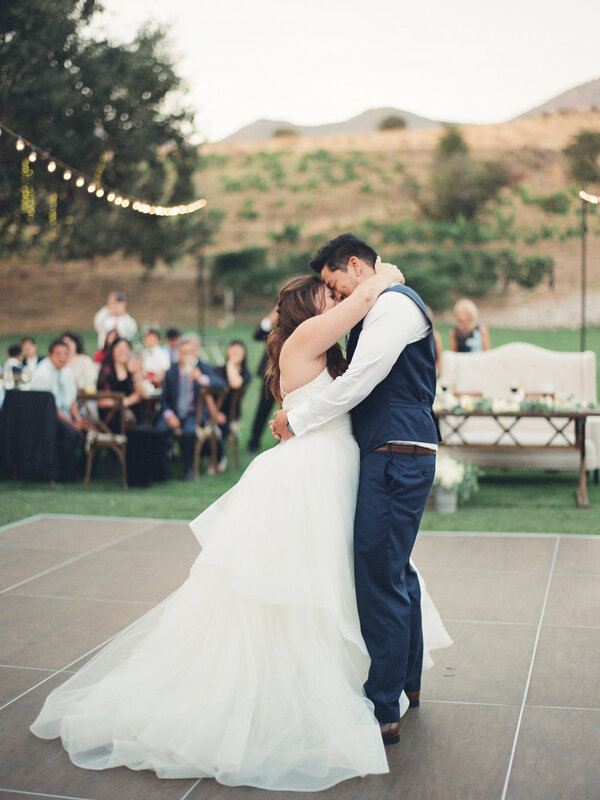 Annabelle and Terry chose the vineyards of Triunfo Creek as the perfect ceremony backdrop. 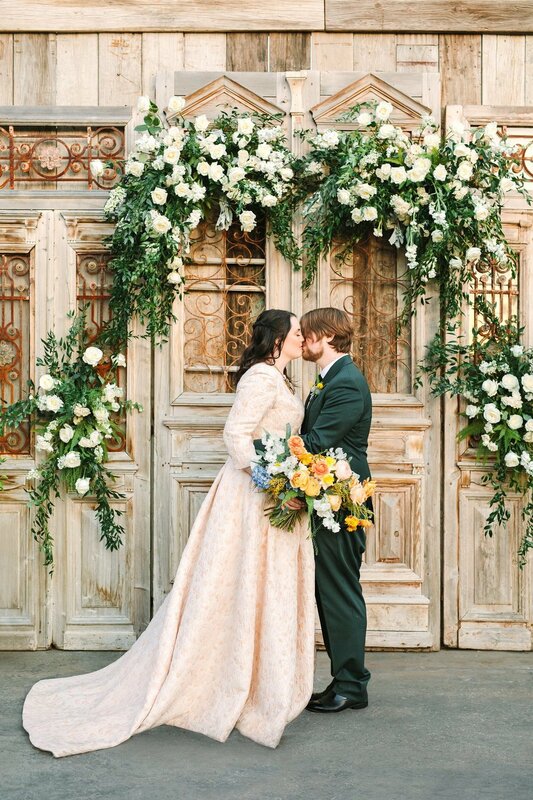 A chuppah with white dropping and floral arrangements, enhanced the space for the two as they exchanged their vows. 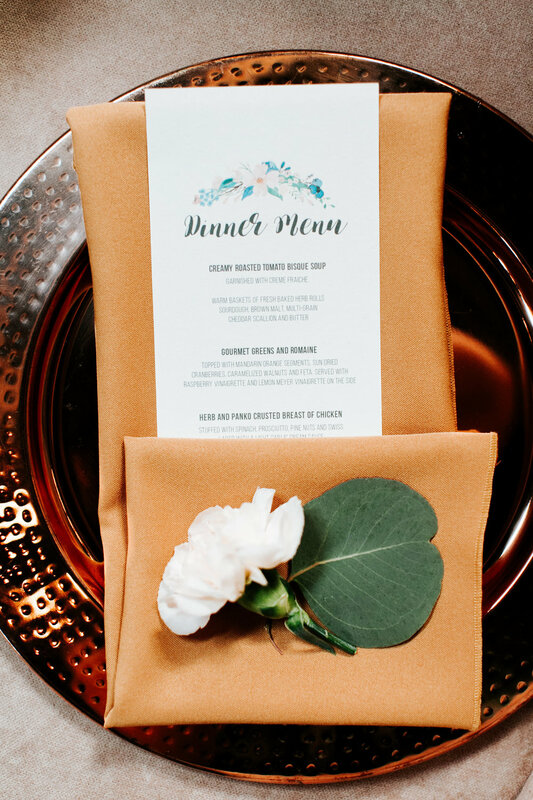 Basing the color palette off of the venues beauty, Annabelle and Terry chose to use a natural color scheme for the rest of their details. 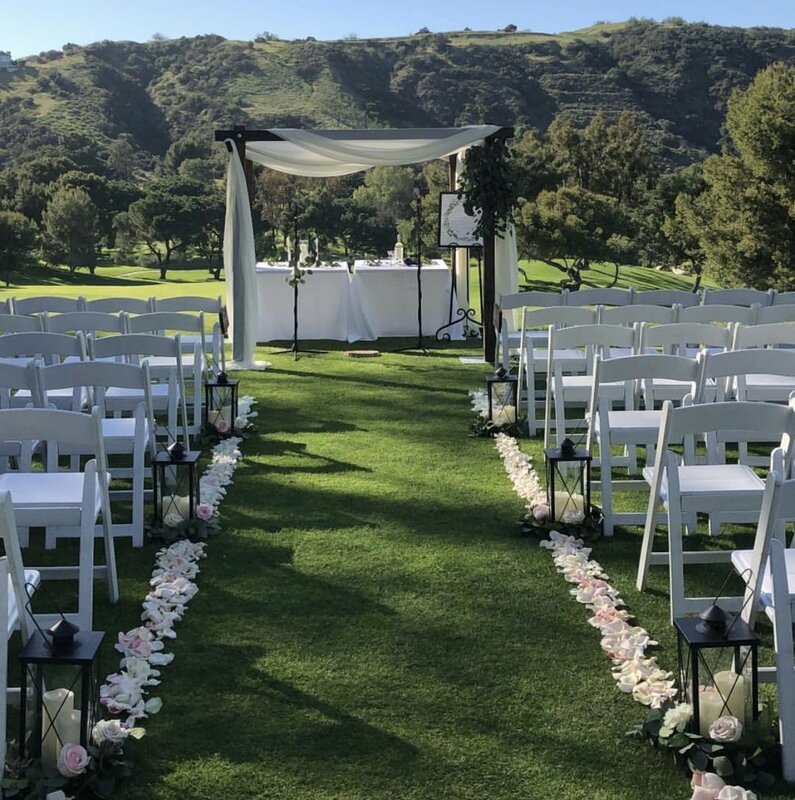 The neutral tones and enchanting grounds created the most breathtaking ambience for all to enjoy! 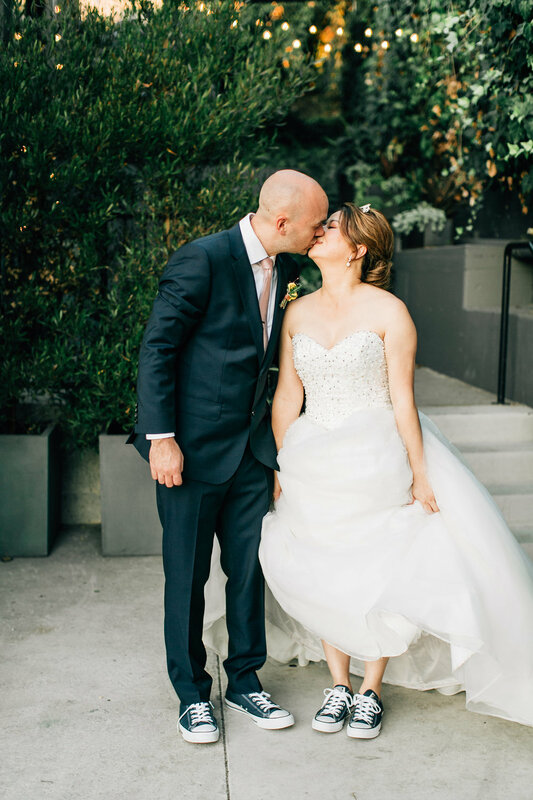 Fitting for this couple, Emily & Daniel were married in an outdoor ceremony at MountainGate Country Club. 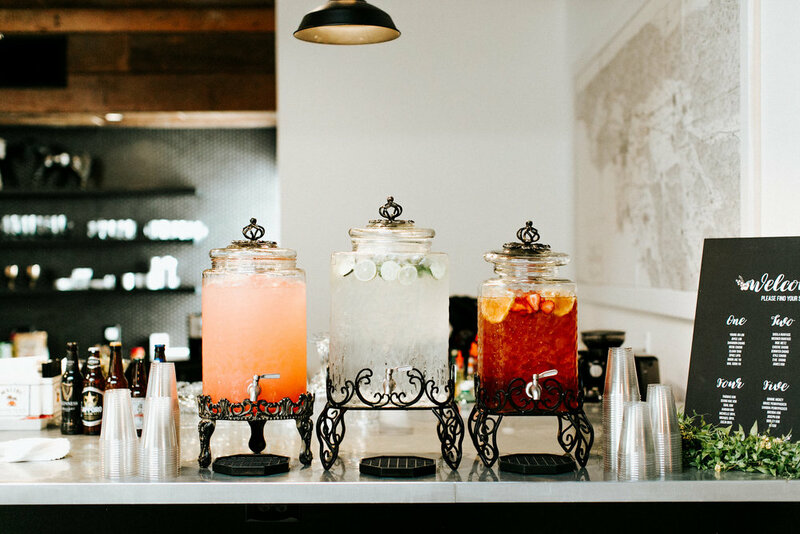 During the cocktail hour, guests sipped on the signature cocktails and tasted the delicious selection of prepared hors d'oeuvres. 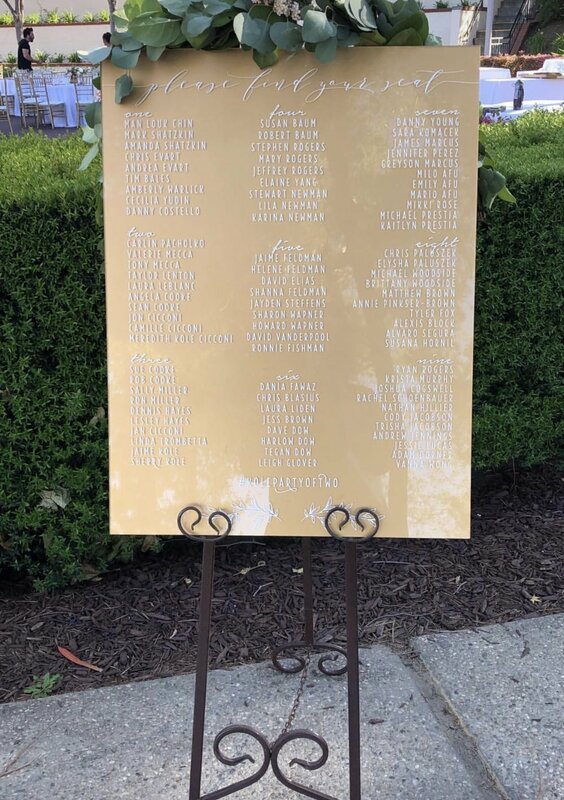 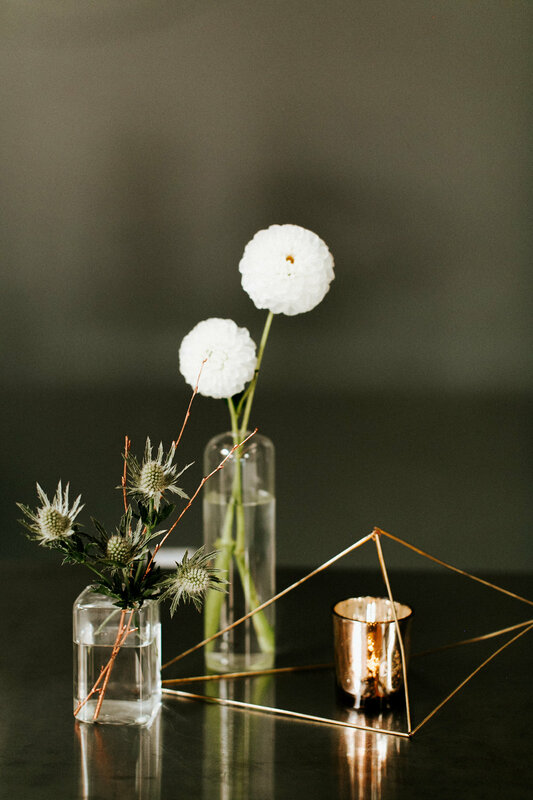 Table finishings for the reception were made up of lantern centerpieces, acrylic table numbers, succulent napkin treatments, and gold votives. 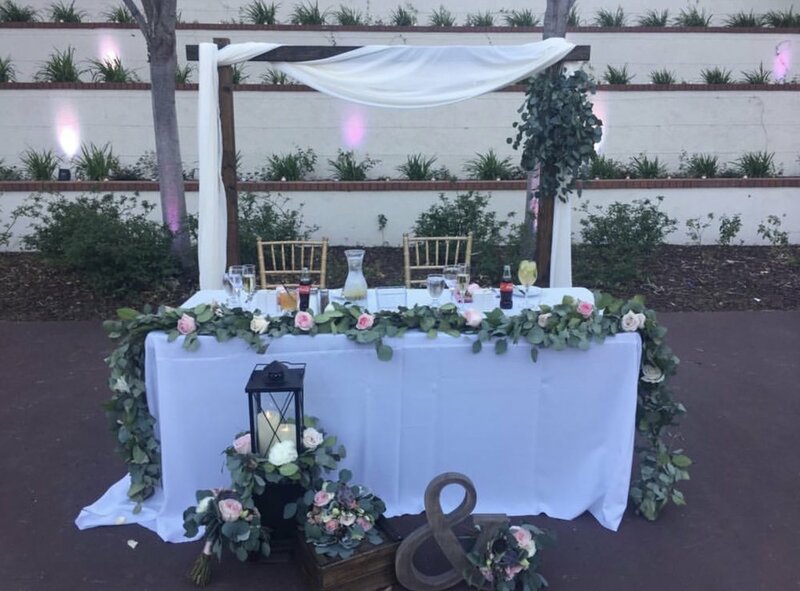 The sweetheart table was placed under a beautiful chuppah, draped with ivory linens and clusters of greenery. 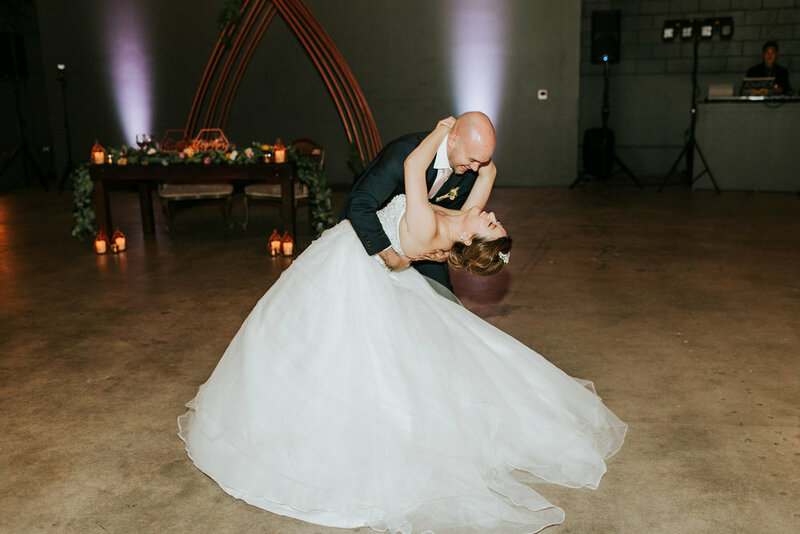 Unforgettable memories made together, we were so happy to have been included on Emily and Daniel's special day! 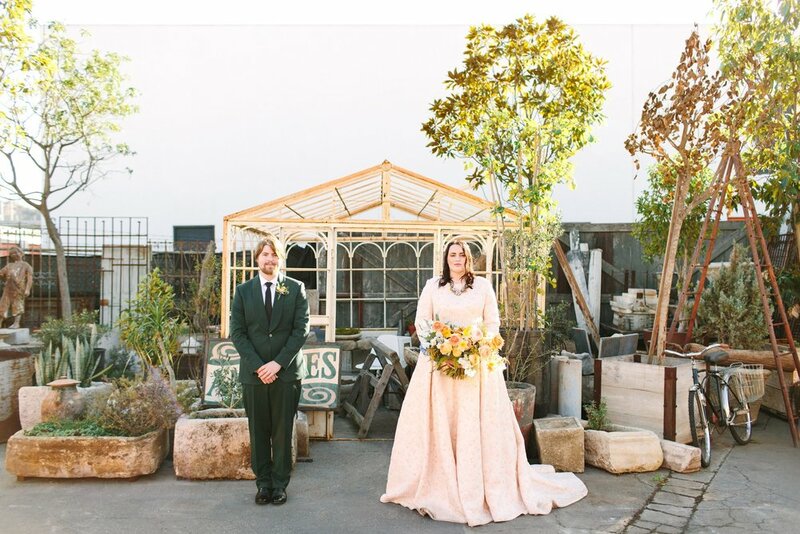 Between gold chairs, a rug lined the aisle way in an outdoor ceremony for Kara and Mark's wedding day at Big Daddy's Antiques in Los Angeles California. 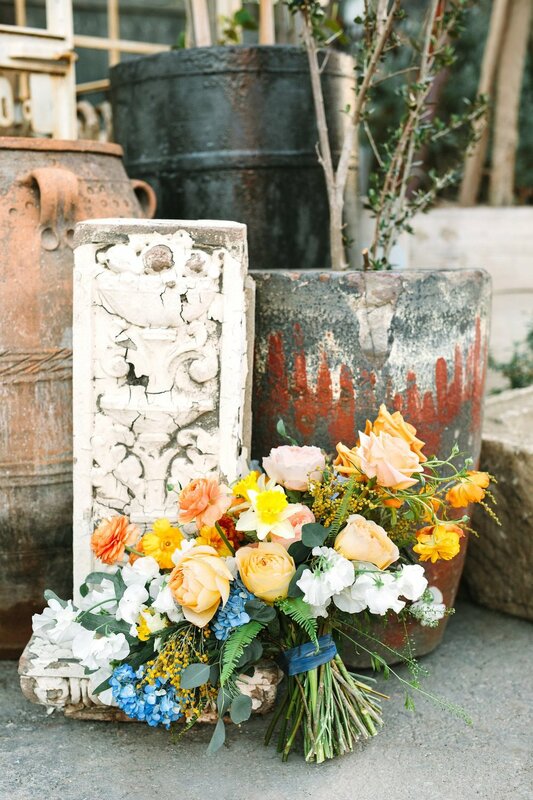 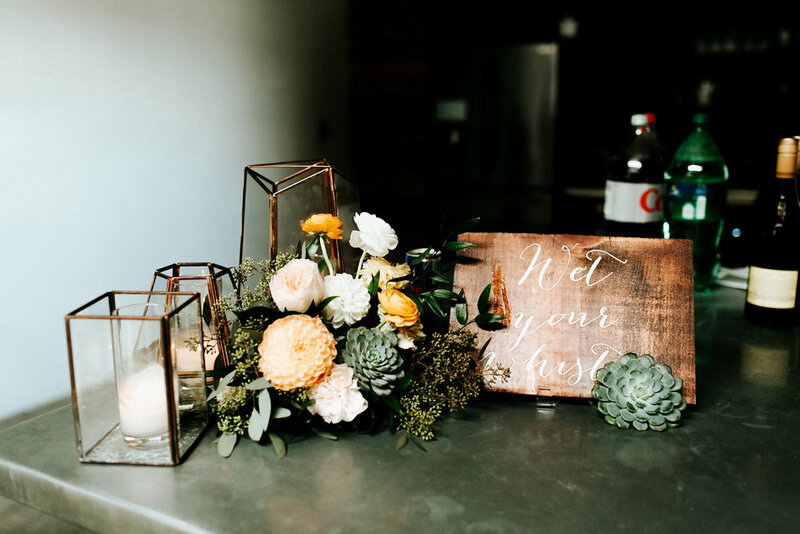 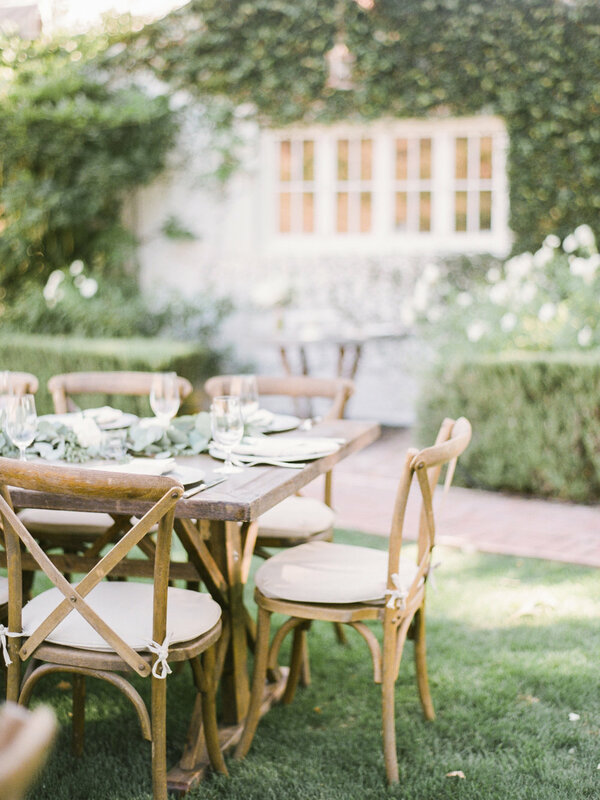 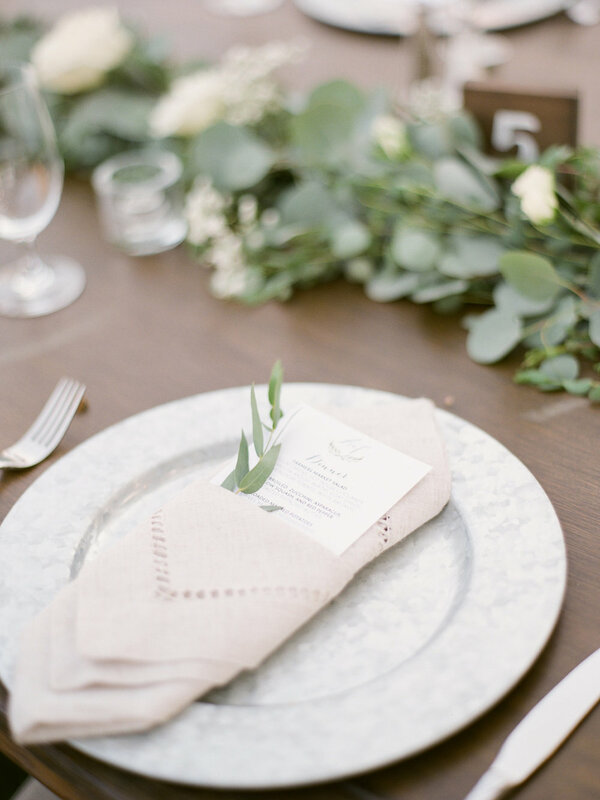 From the ceremony to the reception, this setting was furnished with antique decor. 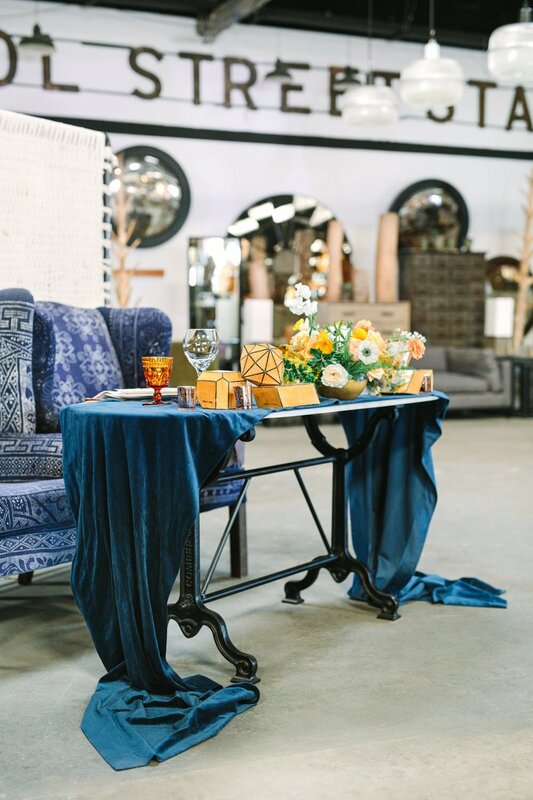 A Macrame backdrop behind two navy, wingback chairs, were just the beginning to this couple's stunning sweetheart table. 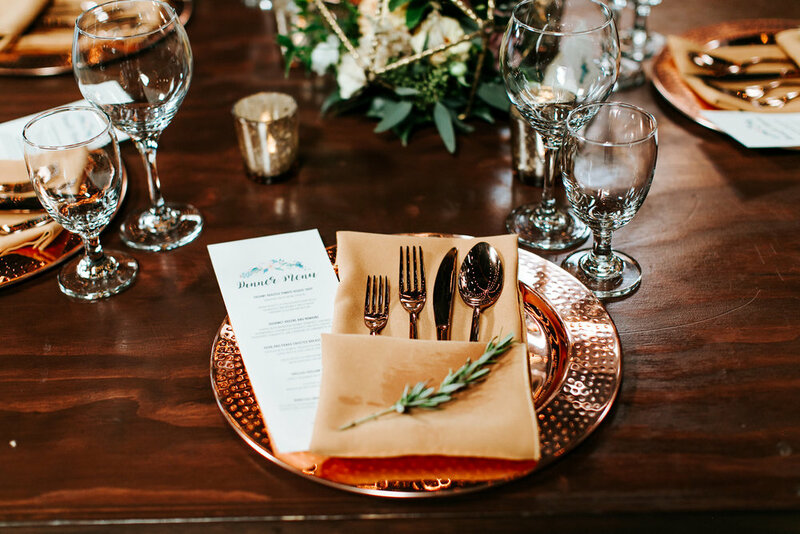 Their reception included rectangle tables decorated with mix-n-match chairs, rose gold mercury votive candles and breathtaking florals. 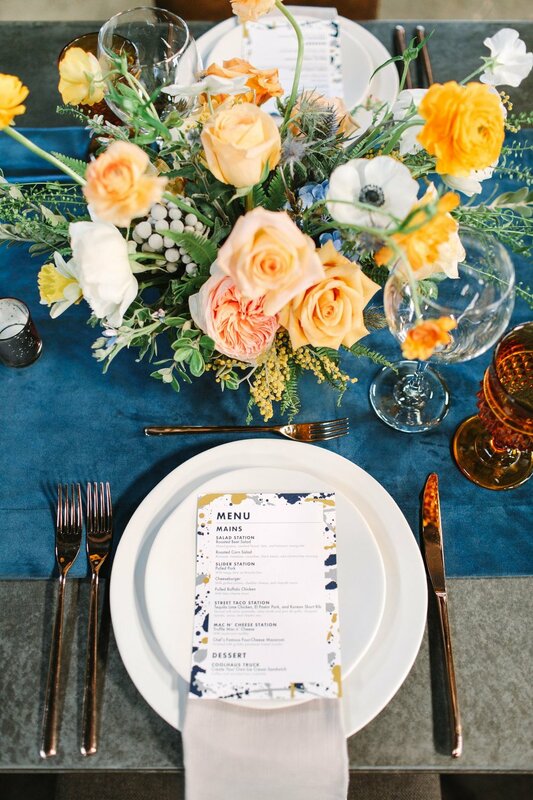 Focusing on all details, the couple maintained a combination of colors including yellows, peach and navy. 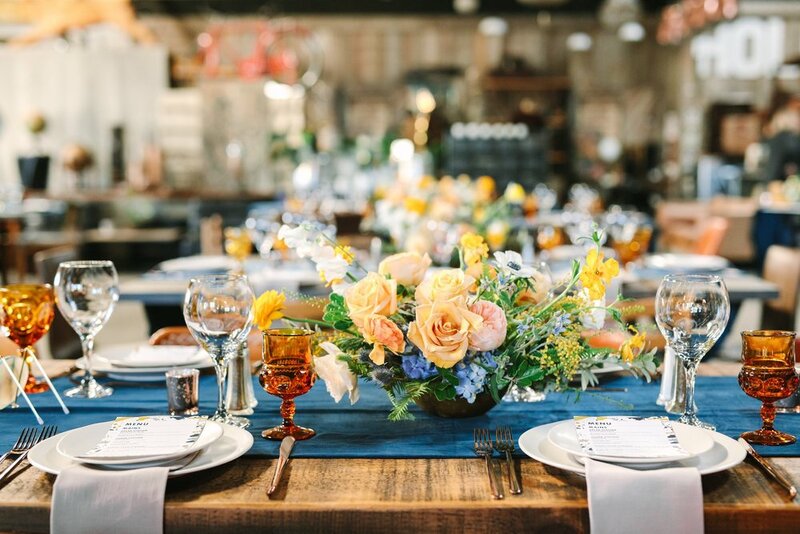 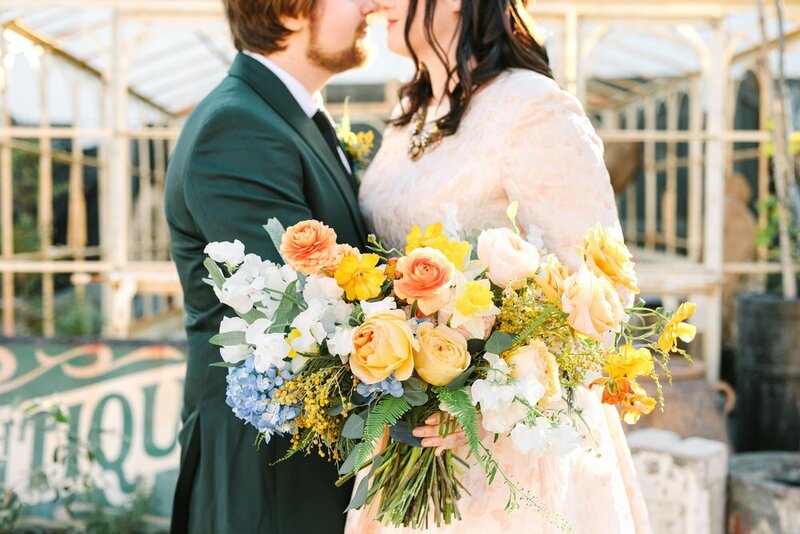 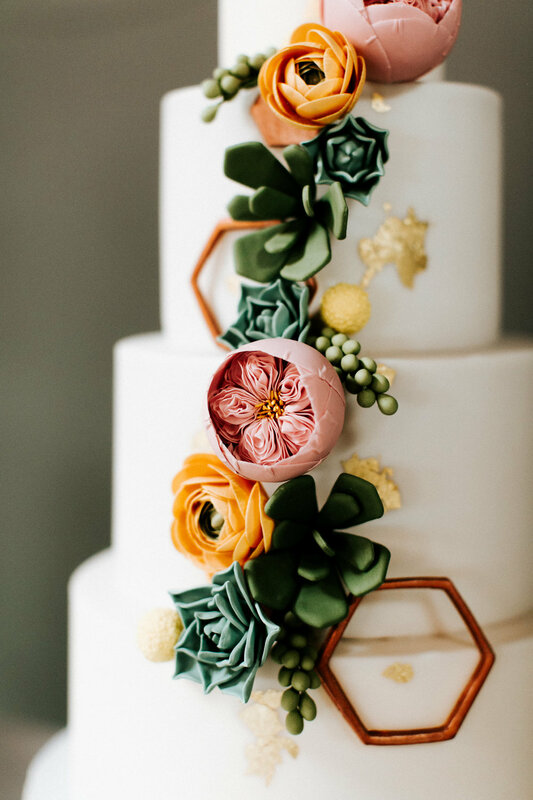 All of these colors and designs played a beautiful role in decorating this gorgeous venue! 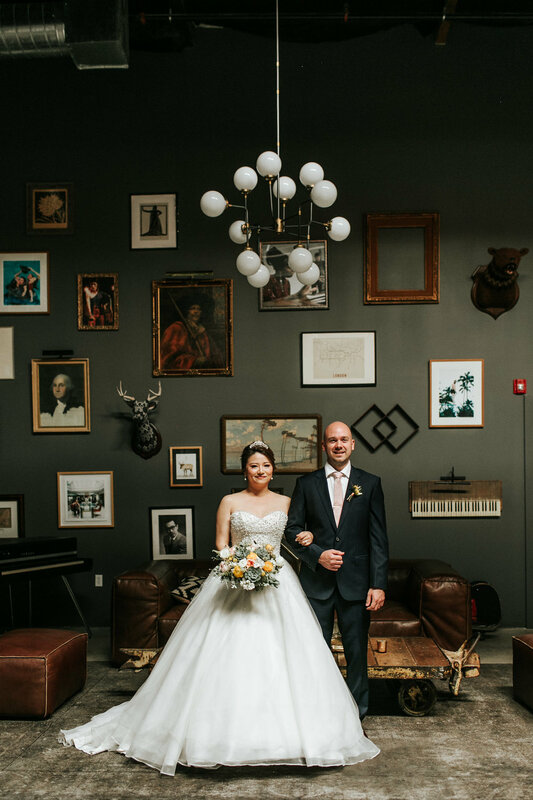 Playa Studios offered the perfect setting for Sandy and Ian to showcase their modern wedding dream. 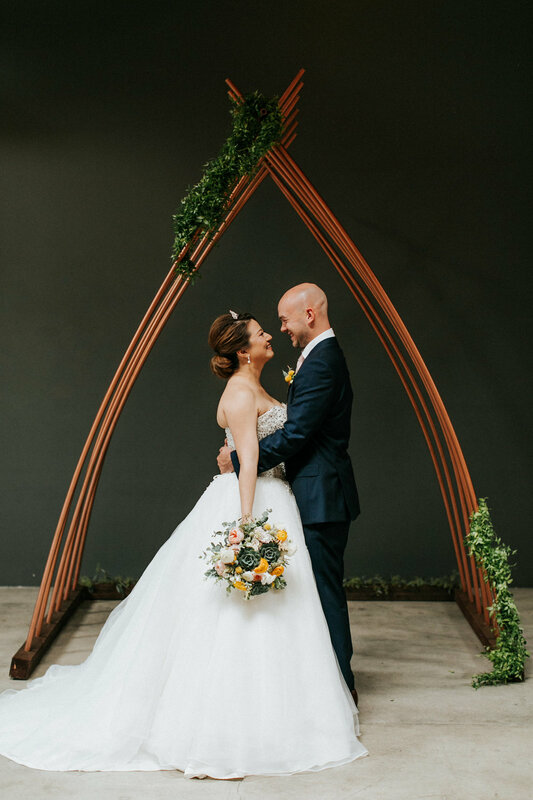 Wowing their guests in the open venue, the couple was married under a copper arch with greenery. 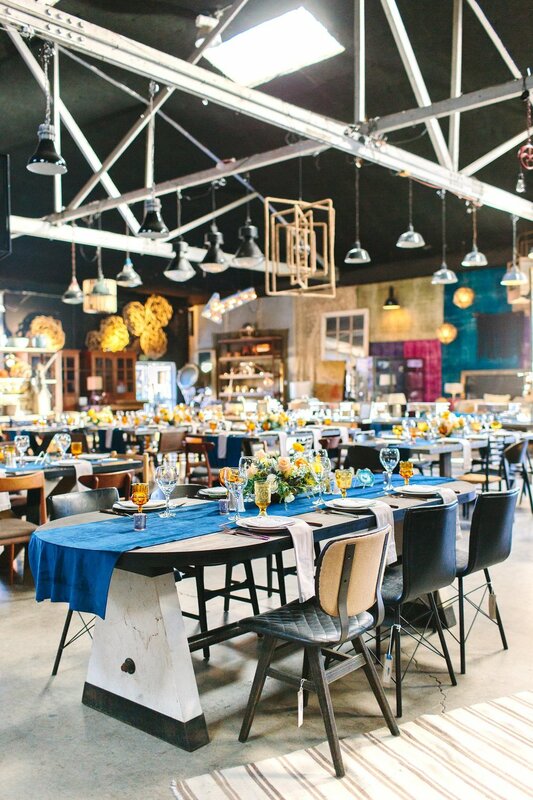 The 5,000 sq ft space, was decorated with overhead bistro lights that complemented the modern setup. 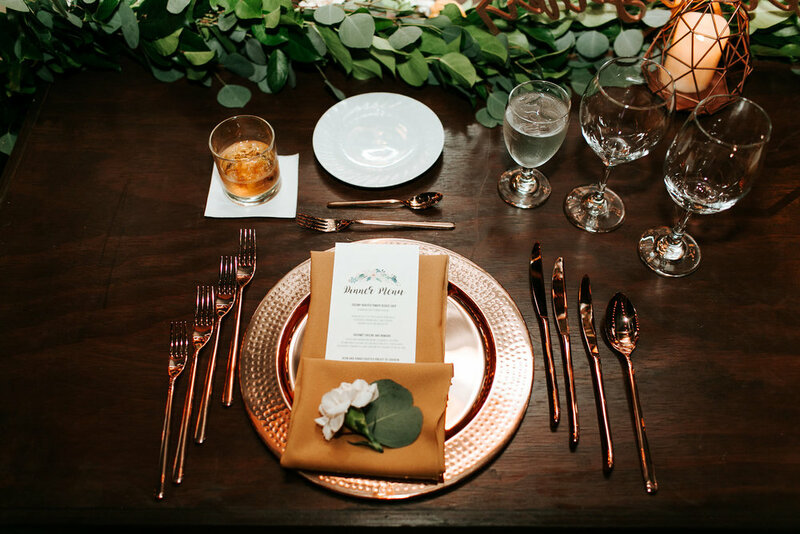 Tables were lined with mustard yellow linen napkins and rose gold hammered chargers, accented by rose gold metal chairs. 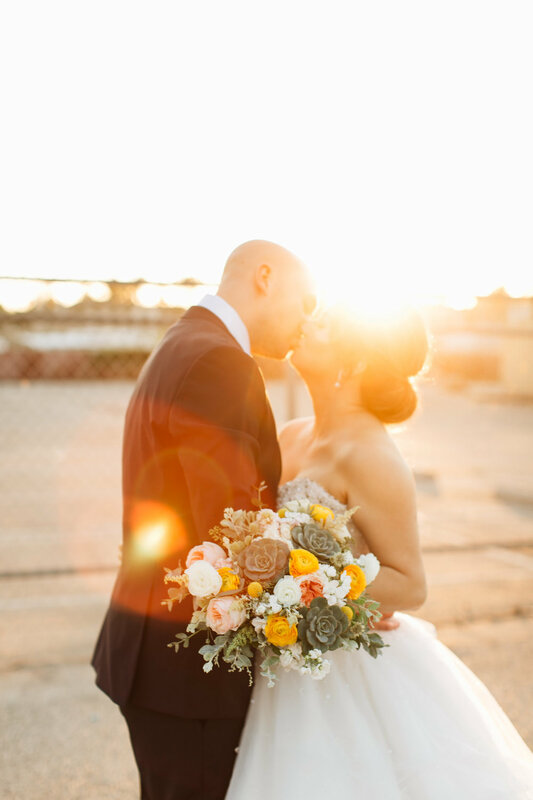 Sandy and Ian's wedding day was exquisite in every way!